Going to the Betz Gallery this weekend was an experience diametrically apposed to McClain or Sonya Roesch. 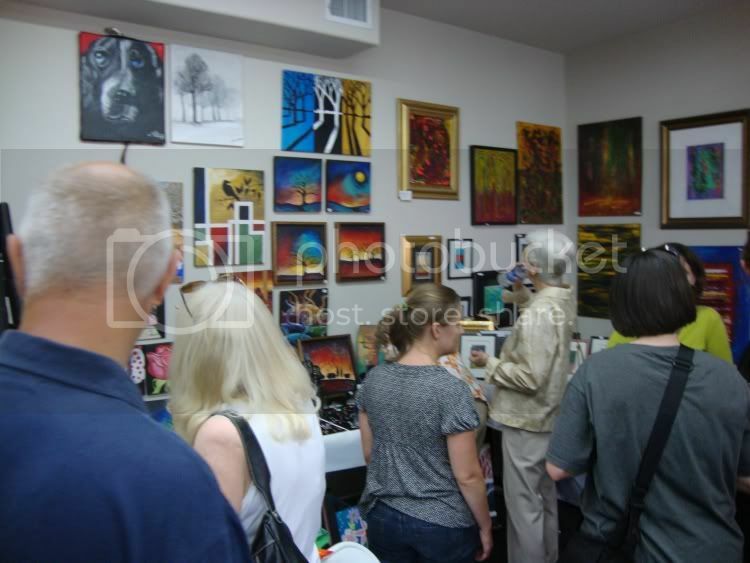 Betz had an event going on open to artist to sell their works for no more than $100 each. So where McClain and Roesch were elegant, spare, and gave the art displayed within substantial breathing space, Betz was riotous. This is Cicely Miller from Shreveport, Louisiana. Originally from New Orleans. 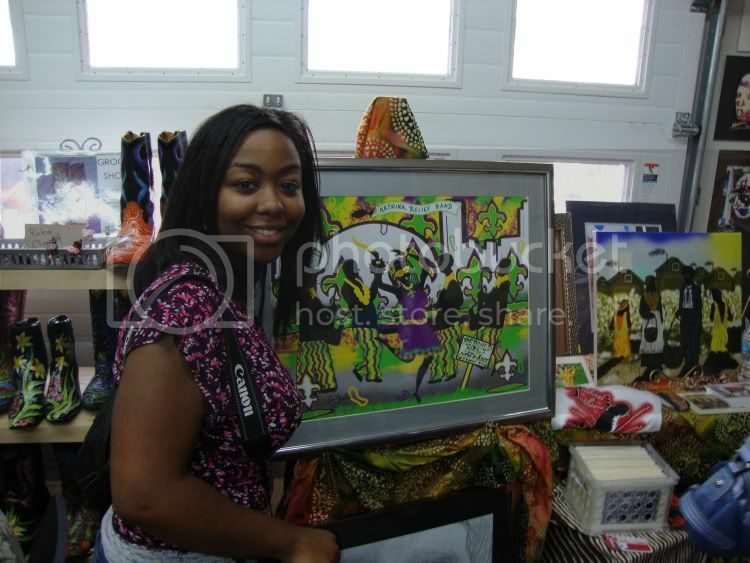 She makes happy art, pictures of musicians (including Michael Jackson) with bright happy colors. But she had a piece or two that touched on Katrina. 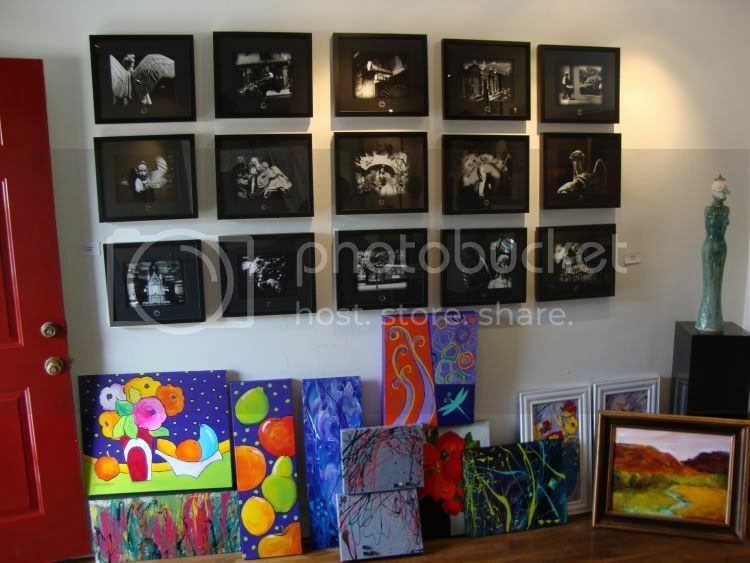 I think art at this level is about creating something that ordinary non-"high net worth" folks would feel "brightens the place up." But I also hope artists like Cicely Miller will emulate her and occasionally take time out to express how they feel, and make art about things important to themselves.